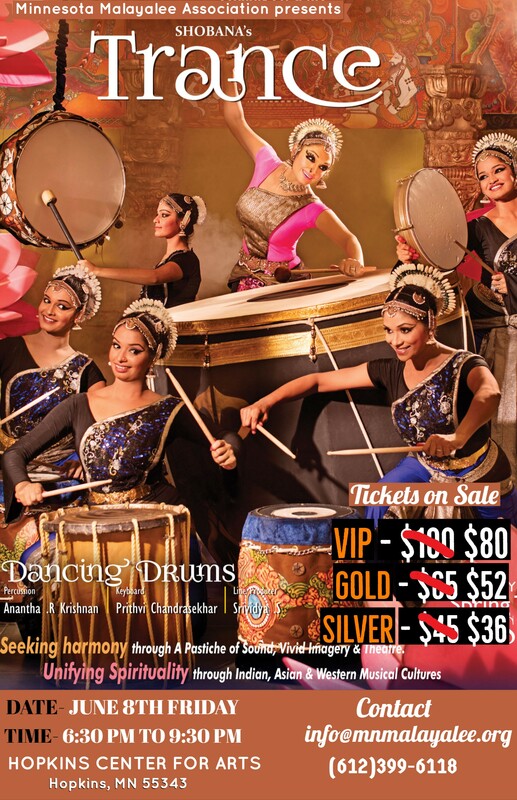 Shobana’s Trance Dance Event Tickets… Act soon !!! Don’t miss this wonderful performance by Shobana. 2. Silver and Balcony (Zone3) $ 36. For limited time there is a 20% discount for all level of tickets. The prices are after discount. Tickets are going fast. Please reserve your seats before they are filled up. NOTE: There are premium seats available outside of the box office. Please contact any board member and we will be able to reserve a spot of you in the first few front rows.